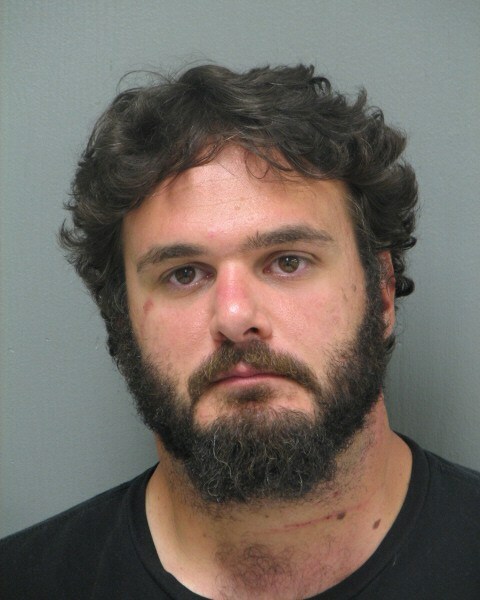 Lewes – The Delaware State Police arrest a suspect on weapons charges stemming from an incident that occurred last evening at an apartment complex in the Villages of Five Points, according to Public Information Officer, Master Corporal Melissa Jaffe. 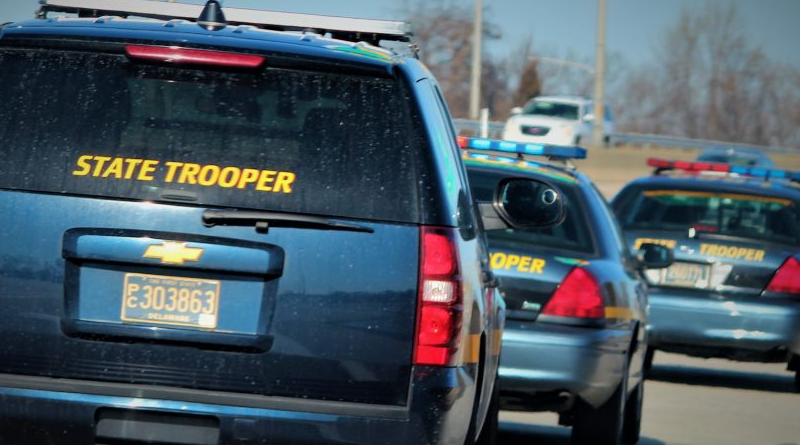 Jaffe said the the investigation occurred on Tuesday, February 27, 2018 at approximately 6:13 p.m. when Troopers were dispatched to the 17000 block of North Brandt Street for a report of a subject armed with a handgun. 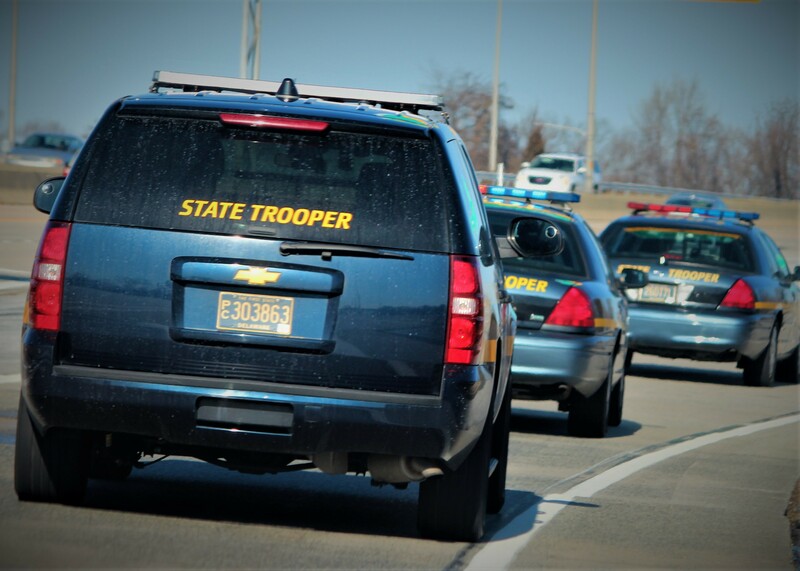 Upon arrival, Troopers were informed that the subject had approached several residents and was acting in a strange and erratic manner while displaying a firearm, according to Jaffe. A perimeter was immediately established around the building and confirmation was made that the subject lived in a third floor apartment. Precautionary measures were taken, and residents that lived on the 2nd and 3rd floors of the apartment building were evacuated. Assistance was also provided by the Lewes Fire Police in closing down Old Orchard Road and all access roads leading to the apartment building. After a short while, the suspect, identified as 33-year-old Michael Gallo of Lewes exited his apartment wearing what was later identified to be a replica Ghostbusters “Proton Pack” strapped to his back, according to Jaffe. Gallo was taken into custody without incident. Located inside of his apartment was a Ruger 9mm handgun, said Jaffe. No injuries were reported as a result of this incident. Gallo was transported to Troop 7 where he was charged with 3 counts of Aggravated Menacing, Possession of a Firearm During the Commission of a Felony and Possession of a Firearm While Intoxicated. He was arraigned out of the Justice of the Peace Court 2 and released on $24,000.00 unsecured bond.